WINNER OF THE GIGMASTER'S,"RISING STAR AWARD",FOR 2008 & 2007! For the past 23 years, I have been providing outstanding entertainment at restaurants, clubs, and private affiars, in and around the Philadelphia tri state area. 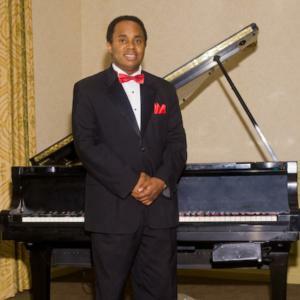 My repertoire consists of music from the 20's to the present - Jazz Standards, Broadway, Blues, Ragtime, Oldies, Motown, R&B, Classic Rock, Disco, Reggae, Country, Hip Hop, Modern Rock, and House Music. I do a lot of wedding ceremonies, and I also have song books for sing-a-long parties. I also have several female vocalists available. Whether its background music (solo piano), music tfor entertainment (piano and vocals), or dance music,(one man band), I can privide outstanding entertainment to make your event spectacular. Some of my clients include - Bistro Romano, The Dupont Country Club. The Northampton Valley Country Club, The Philadelphia Cricket Club, and The Ritz Carlton Hotel. I relived the amazing piano playing through my guest. Me and my bride were so busy taking photos we couldn't attend cocktail hour. I asked all the guests, "hey how was the piano player". I couldn't stop asking the questions since every response was "AMAZING!! BEST I HEARD!". My uncle is particular who frequently attends Wynton Marsalis and know a thing or two about musicians said "he was the best piano player I listened too". I did end up seeing a video and I have to agree...WOW! 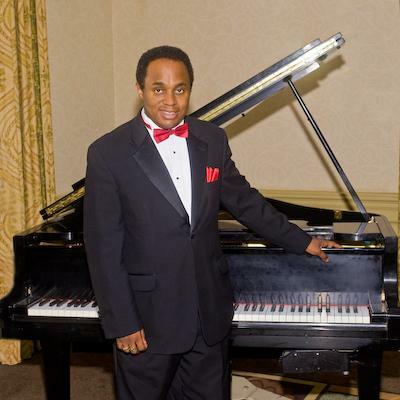 I will very highly recommend him to anybody looking to book a piano player. It adds a whole dynamic to the cocktail hour and honestly your whole wedding. Craig Satchell proved to be a wonderful choice for my staff party. He was punctual, personable and professional in every way. I could not have been happier and would most certainly look forward to working with him again. Craig was perfect for our event. I wanted background music for my husband's 60th birthday party and when Craig wasn't playing it made a big difference in the ambiance of the room. He was very professional, contacted me promptly, was on time and was very personable. Craig and his group were just wonderful. He was very professional during the negotiations and planning and very personable throughout the evening of the event. He accommodated all of our requests for type of music, while learning a few new tunes for the special dances. The folks he brought (horn, female singer) were great and blended well with Craig. He's unassuming and rather humble, but when he starts his music and presentations, he is dynamic and is able to perform well within all the musical genres. We would definitely use Craig again for other parties and events. Honestly, with how busy the day was I didn't even get a chance to say hello to Craig! But the cocktail hour was beautiful with the piano playing in the background and many people commented on how impressed they were having a someone playing live. Thank you Craig! We had a 70th birthday party for me, with 38 invited guests. Craig played a variety of music to entertain us during dinner and afterwards. The true evaluation for Craig was the feedback from our guests, and everybody raved about his keyboard and singing talents. People even got up to dance the "twist" with little to no dance floor. Craig exceeded my expectations, and I would definitely recommend him and use him again for other events. Craig played and sung his heart out at our wedding. We would highly recommend him. Craig was very professional, arrived on time, answered all emails promptly and was very accommodating to our guests. He played everything from Christmas carols for the kids to sing-a-long, to Elvis, Nat King Cole, Billy Joel, Chubby Checker, Broadway tunes and others. Our guests, ages 8 to 93 told us that he was one of the most memorable aspects of our party. I would recommend him for private parties, as well as larger venues. His experience shows. Craig was very professional and very easy to deal with. He is very talented and I would hire him again for our next party. Please note Craig Satchell will also travel to Clifton Heights, Darby, Drexel Hill, Upper Darby, Glenolden, Philadelphia, Sharon Hill, Folcroft, Havertown, Holmes, Morton, Norwood, Springfield, Ardmore, Essington, Folsom, Merion Station, Prospect Park, Ridley Park, Wynnewood, Bala-cynwyd, Broomall, Haverford, Narberth, Swarthmore, Woodlyn, Bryn Mawr, Crum Lynne, Media, National Park.